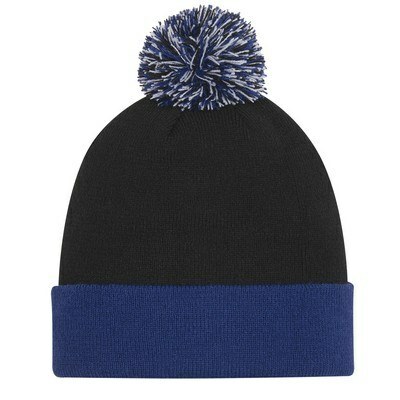 The Knit Pom Beanie w/ Cuff features acrylic construction and enables insertion of custom details for Brand Recognition. 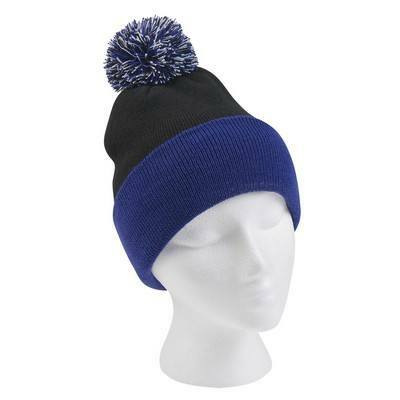 Boost your brand recognition with personalized Knit Pom Beanie w/ Cuff! Beanies are ideal additions to outdoor attire and casual outfits. This beanie is made up of 100% acrylic material. Classic rib knit design stretches to provide a snug, comfortable fit. The cuff is adjustable and provides additional protection for forehead and ears. 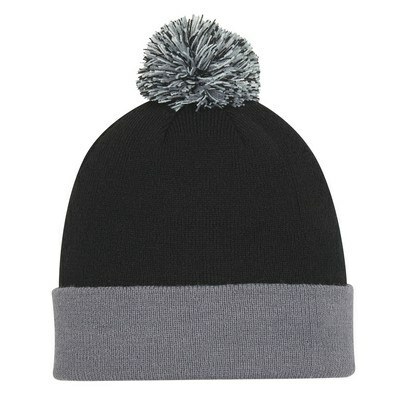 Black beanie comes in attractive accent color options to choose from. 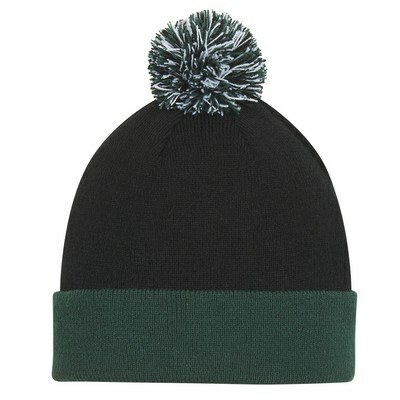 A pom pom in co-ordinating color gives a stylish look to the beanie. 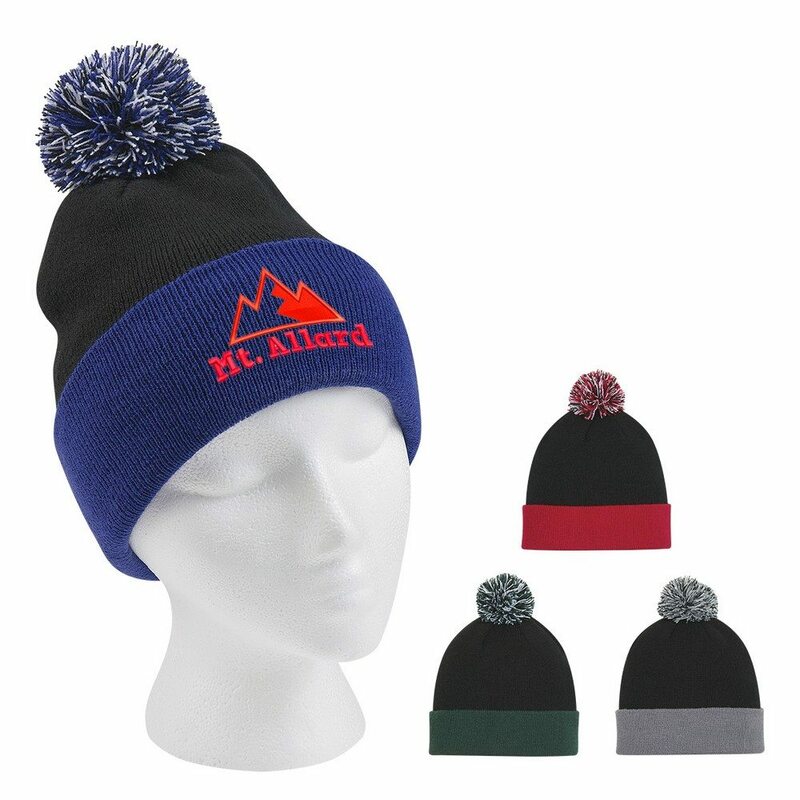 Keep your customers protected from cold and create a lasting impression on their minds with the customized beanie at the next company event. 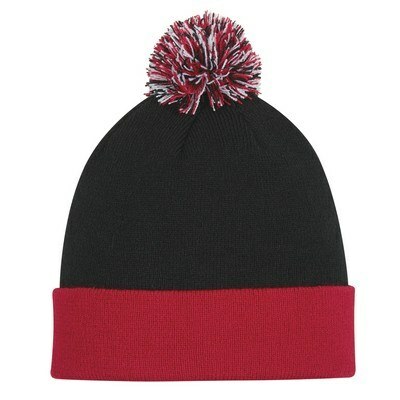 Add embroidered brand logo and custom details on the beanie for maximum brand visibility.